If a 23/4" shell and a 3" shell have the same pellet types, shot-charge weights and velocities, then there really is no advantage to moving to the longer shell. Photograph by Gary Kramer. I am new to wildfowl hunting, having spent many years chasing grouse and woodcock. 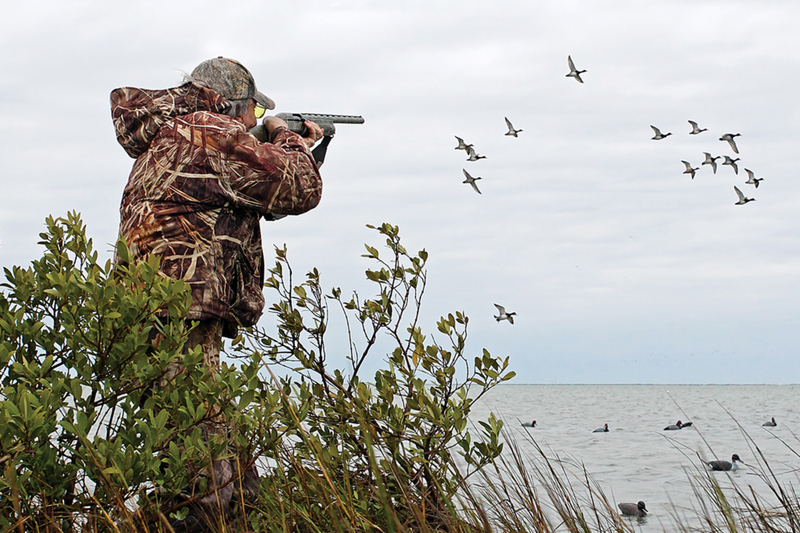 As I look at the ammo necessary for duck hunting, one thing confuses me: What is the benefit, if any, of a 3″ shell over a 2¾” shell carrying similar payloads? 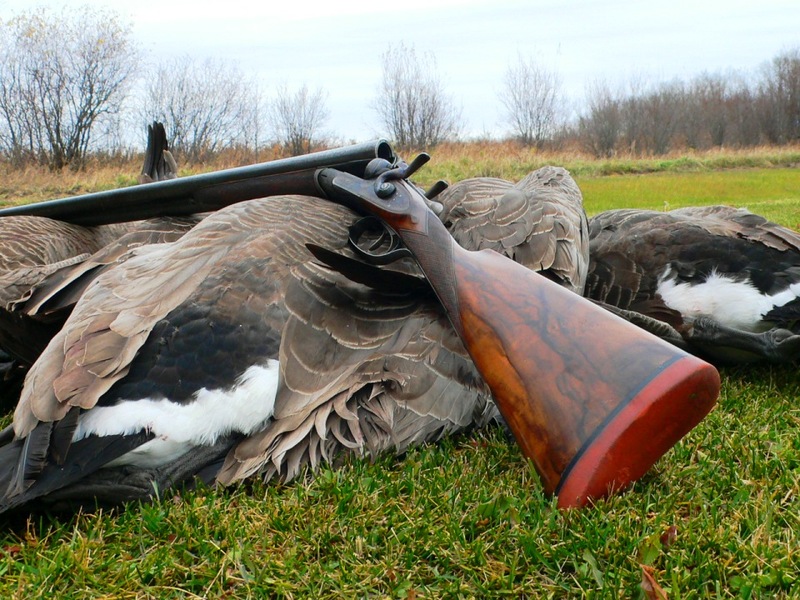 I have been using Winchester Blind Side 2¾” ammo to good effect. The box states the shells hold 1¼ oz of shot and produce 1,400 fps. A friend gave me a couple of boxes of Kent Fasteel 3″ 12-gauge that hold 1¼ oz at 1,425 fps. I have not tried these on game yet but am wondering why I need to move to 3″ shells anyway. The shorter shells pattern nicely and allow me to easily switch from my A5 to my Model 12—the latter being chambered for the shorter shells only. If the pellets loaded in a 3″ vs. 2¾” shell are of the same pellet type and size with the same shot-charge weight, then the only reason to go to the 3″ shell is to hold more of those pellets and/or drive them at a higher velocity. The longer shell not only has room for more shot, but that extra room also keeps pressures lower than in a shorter shell. This allows for higher velocities given the same shot-charge weight. But if the pellets, shot-charge weights and velocities are the same or nearly so between the two shell lengths, then there is no reason. In your case be advised that the steel pellets are not the same in the two loads you listed. The steel pellets in Winchester’s Blind Side loads are cube-shaped and therefore pattern very openly, thus making them most suitable for close-range shooting. The steel pellets in all of Kent’s Fasteel loads are highly spherical and thus would produce tighter patterns and offer greater lethality potential at longer ranges. I have been shooting factory HEVI-Metal 20-gauge loads and would like to develop a couple of good duck loads and a good chukar/pheasant load. The HEVI-Shot factory rep suggests extended-range chokes (.031″) for all the products they manufacture. But in your January/February SSM article [“The New HEVI”] you recommend Improved Cylinder/Modified for HEVI-X. I’m confused about which statement is accurate and just exactly what the HEVI-Metal load is. Lastly, I shoot No. 2s, 3s and 4s in a Beretta over/under, and the ammunition works well at 45 to 50 yards, but I’m a little concerned about barrel failure due to pressure. HEVI-X is a mid-density (~9.5 gram/cc), hard, tungsten-based pellet. In my testing I have found it to be a lethal waterfowl and pheasant load out to about 45 yards. Chokes that pattern well at 35 to 45 yards are most appropriate for this pellet type. They would be IC/M in two-barrel combos or Modified if only one barrel. Based on my testing, extended-range chokes would be the best choice only if shooting distances are expected to be primarily beyond 35 yards and/or for turkey hunting. Basically HEVI-Metal is an enhanced steel-shot load. The shot size on the top of the box tells you which steel-shot size makes up half of the pellets in the load. The other half consists of smaller, 12-gram/cc HEVI-Shot pellets, each of which has about the same weight as each steel pellet in the load. This results in more pellets per load and substantially increases pattern density. But each load’s highest lethality is not greater than the size of the steel pellet being loaded. Why would you be concerned about “barrel failure due to pressure” in any Beretta? HEVI-Metal loads, per gauge and shell length, are loaded to the same pressures as all other loads—lead, steel, bismuth, tungsten-based and so on—of the same gauge and shell length in conformity to SAAMI standards. Beretta shotguns are designed and proof tested to handle American shotshell pressures, so you need not be concerned. I found a few (old) boxes of Eley FIRST 2½”, 12-gauge shells. The box has no data, no listed velocity or pressure. I tried to contact Eley and post online questions, though with no help to date. Can you provide any data? My concern is for high pressures related to a vintage gun with short chambers. Sorry, I have no data on this load. If you really want to know the pressure level of any shotshell load, contact Precision Reloading’s ballistic lab, in Mitchell, South Dakota, at 800-223-0900. Ship the lab a five-round sample and have the shells pressure- and velocity-tested. The lab is run in full accordance with SAAMI testing standards and methodologies. Do you have recommendations for shot size in bismuth for pheasants? I imagine No. 6 shot to be adequate. A No. 6 bismuth pellet performs like a No. 7 lead pellet because of the lower density of bismuth (~9.5 g/cc) compared to lead (~11.0 g/cc) shot. It takes about a one-size-larger bismuth pellet to produce lethality performance similar to lead shot. From my experience, I would not recommend using any bismuth pellets smaller than No. 5s for pheasants. To correspond with Tom Roster or to order his reloading manual on buffered lead and bismuth shotshells, his HEVI-Shot reloading manual, his updated 75-page Shotgun Barrel Modification Manual or his instructional shooting DVDs, contact Tom Roster, 1190 Lynnewood Blvd., Klamath Falls, OR 97601, 541-884-2974.